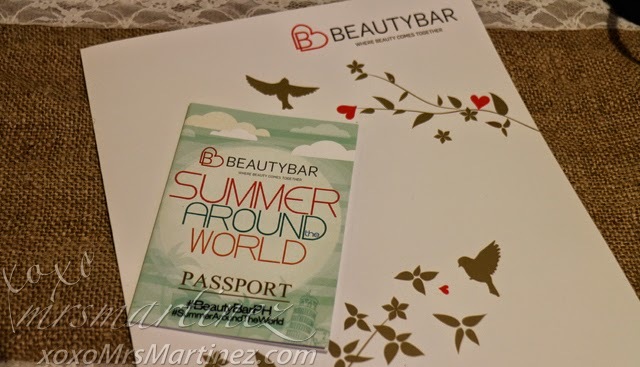 Earlier this week, I experienced "Summer Around The World" with some of my favorite cult brands from Beauty Bar. 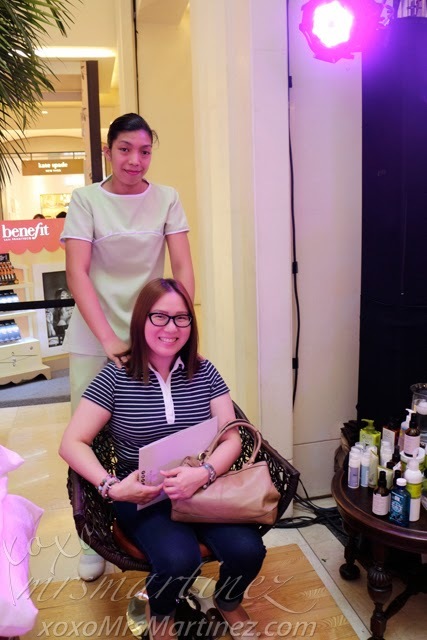 It is an afternoon filled with beauty treats in the new concept store of Beauty Bar located in Central Square, Bonifacio Central, Bonifacio Global City. 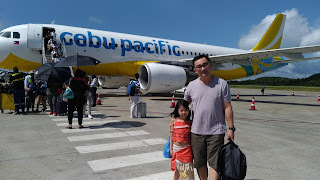 Upon arrival, I received a "Summer Around The World" passport. 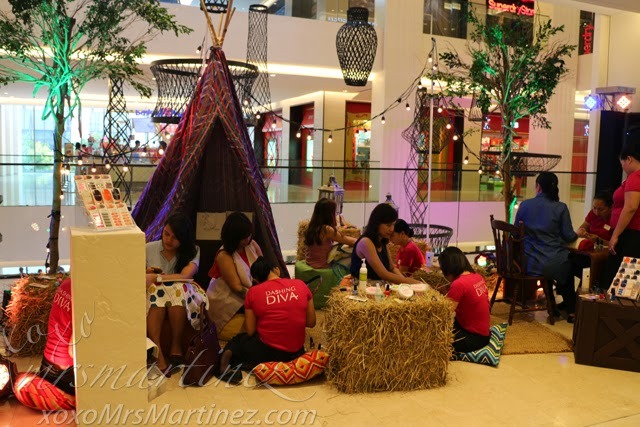 I went around the mall and searched for the five stations with different themes- Parisian Summer, Summer Carnivale, Asian Beach Vibes, Summer Glamping and Surf to the Oz. After availing of the beauty treats and services at each station, my passport was given a "stamp". Collecting all five stamps earned me a box filled with my favorite Scunci hair accessories... yey! 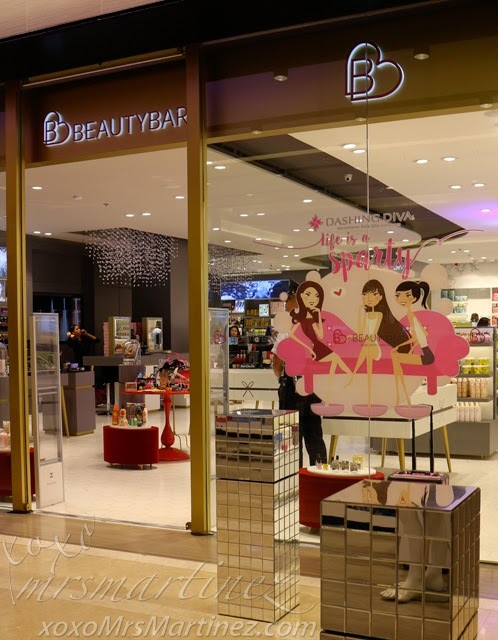 While I was at the second level of Centnral Square, I spotted the new concept shop of Beauty Bar. 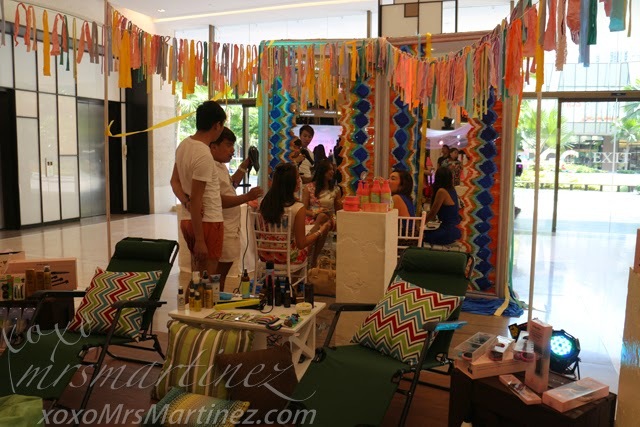 It boasts of a total of 261 square meters, 50 square meter of which is dedicated to the NY-based Dashing Diva nail salon. I noticed the store manager and staff were dressed in black with red print details lifted from the mural design found all over the store. How chica is that! As you enter the store, you are greeted by a wash of new colors, white and dark grey with accents of gold and red. A soft feminine touch is achieved by a hand-painted mural of leaves, birds and hearts on the pristine white wall of the Personal Care area. Take a journey to Tahiti and experience the benefits and pleasures of Monoi Oil. This Taihitian concentrated natural oil has long been a beauty secret of the women of Polynesia and now it is available to you!This multipurpose oil can be used to soften, moisturize, and protect skin, heal, repair, and add shine to hair, and can even be used as a massage oil. 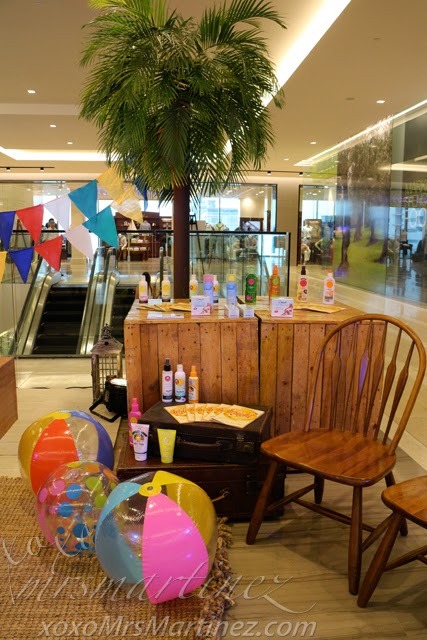 With this new store concept comes new and exciting brands of luxurious bath and body products such as Deserving Thyme (Canada), Fior di Bach and Phytorelax (Italy), Natura Siberica (Russia), Bomb Cosmetics (UK), Kracie (Japan), Sophie la Giraffe (France), Heloise de V. (France), Tan Organic (Ireland), EVA NYC (USA) and Epiology (Australia). You will definitely want every product on your next shopping list! 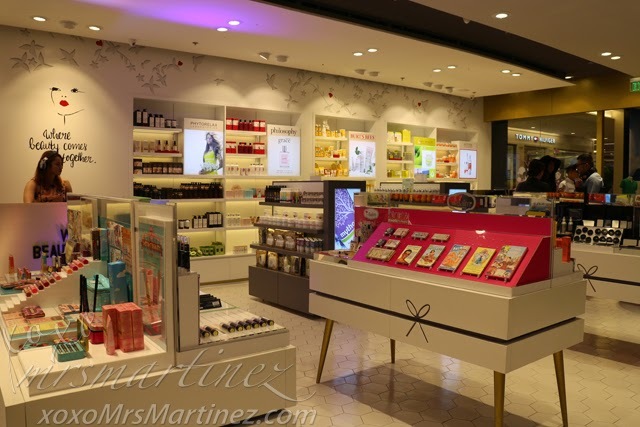 Of course, Beauty Bar's famed cult brands like Smashbox, The Balm, Artdeco, Youngblood, Prestige, Earth Therapeutics, Philosophy and Burt's Bees are still available to please not only the beauty experts but also the beauty-in-training. 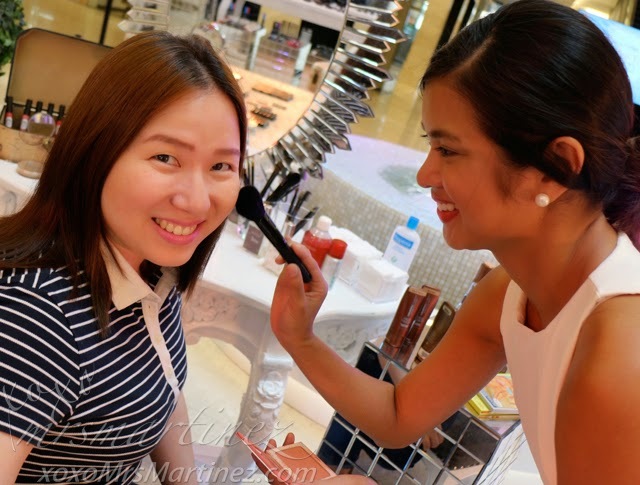 Beauty Bar's 27th store is located at the Second Level, Central Square, 5th Avenue corner 30th Street, Bonifacio Global City.